Hawkins has been the police chief in Southfield, Michigan for the past six years. And the mayor has said he was selected in large part because of his experience with and focus on community policing. 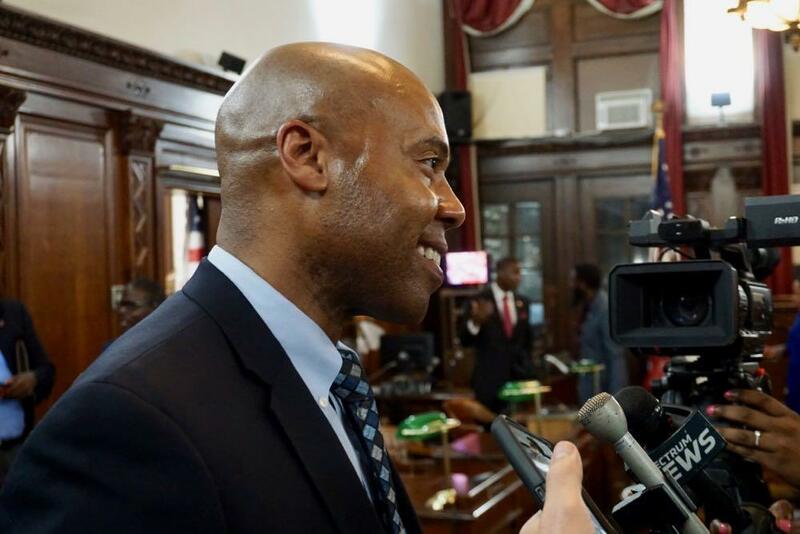 Ahead of the Common Council appointment vote Tuesday, the council asked Hawkins a bunch of questions and his thoughts and approaches to policing. 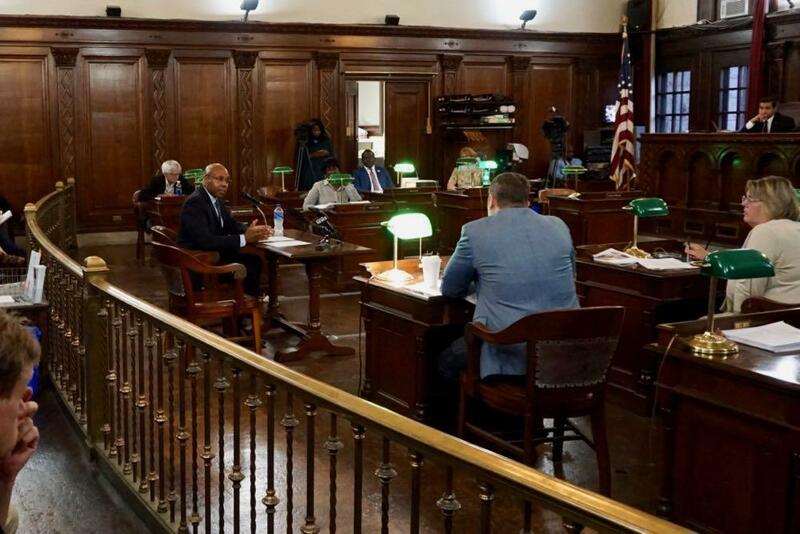 This is not a comprehensive recap of the questioning, which was part of a public safety committee meeting that immediately preceded the special full council meeting to vote on the appointment. The committee question period and public comment lasted roughly three hours. The answers from Hawkins have been condensed and lightly edited. "I know there's a lot of concern, a lot of fear. The instinct and impulse is implement quick fixes with the police department, which I urge our community to resist. ... What I've seen, what I've experienced is that a more holistic, collaborative approach to these problems is what's necessary." 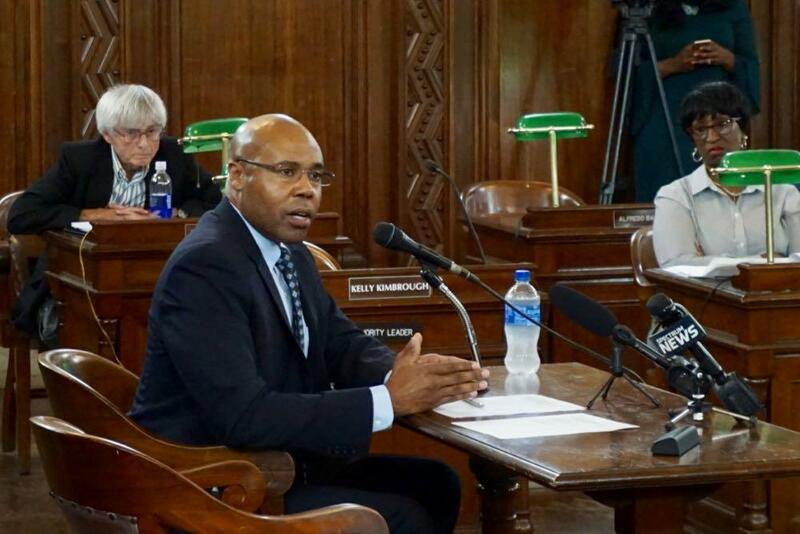 "Ten years ago in the community I come from the crime rate was higher than it is in Albany. Violence was much more prevalent then than it is now in Albany. Our approach at the time was to increase the number of tactical officers, to make where officers were rewarded and recognized for how many felony arrests they pursued, recognized the officers who were doing the more reactive-type work and not recognizing some who were doing the proactive types of things. And what we saw was that we were spinning our wheels. Our numbers looked good, we were making all these types of arrests, we were sending the message that crime doesn't pay and all these things -- but we were spinning our wheels." "The causes of these issues were some things that we had no control over: poverty, lack of education, lack of opportunity. The individuals were involved in these types of incidents has those types of issues. We could continue arresting them and arresting them, and it was vicious cycle. Once we started working with various stakeholders in our community we started to see some results. ... So we started working with our school district. We started working with our economic development team. We started working with agencies that deal with mental illness and poverty and lack of education. I personally started volunteering my time with these non-profit organizations that service individuals with mental illness and living in poverty and dealing with other sorts of things. Because so many people we were arresting were having these problems. So I needed to know why, what were some of the things that were contributing to those things. So I could take those things back to the police department and make it aware of these types of things. ... So we started doing all these things and we started to see over the years dramatic decreases in crimes and quality of life issues. 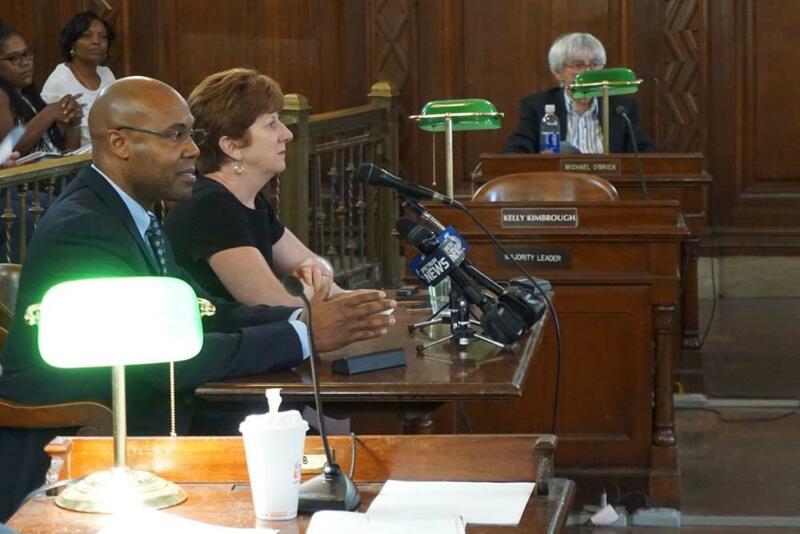 So my approach to that is to continue that in Albany." Community policing: "To me, basically, it's police departments working with communities to solve social issues before these issues or concerns or ills become law enforcement incidents. ... We want to prevent these issues from occurring, it's proactive. We don't want to wait until there's crime. We don't want to wait until there's social disorder or quality of life issues. We want to address those things before they get there." "[Community policing is] police departments working with communities to solve social issues before these issues or concerns or ills become law enforcement incidents. ... We want to prevent these issues from occurring, it's proactive. We don't want to wait until there's crime. We don't want to wait until there's social disorder or quality of life issues. We want to address those things before they get there." Procedural justice: "Procedural justice is a very exciting concept. It's something that over the last five or six years has really emerged in law enforcement. It really defines the relationships that police departments should have with communities, whereas community policing is the broad philosophy. What makes procedural justice so exciting to me is the opportunities it brings. The philosophical premise that when members of the community feel valued, when they feel like they're treated with dignity and respect, they're more likely to collaborate and partner with police departments. That really brings a whole host of exciting possibilities because all of the studies of procedural justice, they all show that when a police department has a robust procedural justice philosophy in place and practices, there can be reductions in crime. There can be more perceptions of legitimacy of the police department by members of the community. ... If you feel there's transparency, in many cases you don't have members of the community questioning the motives of the police department. And then also the last thing is neutrality and impartiality. If people in the community feel that officers and civilians are operating impartially and neutrally then all of those things to communities feeling that police department itself is legitimate. ... Is it worthy of policing and having authority in the community." "A person's perceptions of these types of things become reality. And if your reality is that there's injustice, there's bias, there's racism, then absolutely -- there's a problem. ... One thing I did at the very outset when I was appointed chief six years ago is that I said we have to address perceptions on these types of issues. We have to work to do all that we can to engage members of the communities that feel they are underserved so that they understand what's happening with the police department and we are working with them." "The way that this officer engaged with this middle-aged African-American female could very well, and was legitimately perceived as, race based. The point that I'm trying to get at is that -- and this is something that's shown in a lot of recent studies, especially when we talk about procedural justice -- a lot of members of underserved communities, members of minority communities oftentimes their perception of whether an encounter is race based is, at the core, based on the communication and what happened during the process of that communication -- not necessarily the outcome. Also what I've seen from practical experience is that if we can make sure there are officers and civilian employees who have the ability to communicate effectively, who are tried in implicit bias, who are trained in cultural competency, who are trained in the sort of things that shape our personal communities, our personal fields, if we can train and recruit and retain those types of officers, we can reduce the amount of race-based incidents that we have." "I don't want to be misinterpreted at all about minimizing the impact racial bias and some of these other things have on policing in America. I'm the first to recognize and acknowledge that those things are real issues. I apologize if that was made in a way that wasn't clear to members of the community. It's absolutely an issue in policing in America and I recognize that. And I've done some things to minimize the impact that has in police organizations. ... When I talk about the fact that some of the issues of racial bias are sometimes perceived as that but are other things, I only meant to suggest that there are instances that I've experienced were something other than what they were, and corrections were made. As I said before, perception is reality. And if any members of the community perceive that police actions are inappropriate in any kind of way, then the way they perceive becomes their reality." "Recruitment and retention is a national issue. ... So this is a challenge that I'm accustomed to dealing with. And there's no easy answer to it, but I will tell you this: One way that we must address this problem right now is the environments and the atmospheres and the opportunities we give potential applicants and also those in the police department right now. ..."
"When you talk with police officers and civilians within police departments and you ask them about why they applied, pay and benefits a lot of times are not at the top. What a lot of the people -- especially the younger people getting into this industry -- are attracted to is the opportunity for growth, the opportunity to work in a professional organization. They're not attracted to the type of organization that's run like when I entered 30 years ago -- back then it was very militaristic and the people with experience would tell the younger officers and civilians to go stand in the corner and we'll call when we need you. Discipline wasn't always fair. ..."
"One of the things that I stress with my command staff at the agency I came from is that we must treat the folks who are in our police department fairly. Just like members of the community want to be treated with dignity and respect and want to feel valued, the people who work within organizations -- in this case police departments -- want to be treated with dignity and respect. Making sure we listen to the folks within our department. Making sure they have input in decisions." "All police departments right now are trying to get the same person -- state, local, and a lot of times federal departments. There's a small pool of qualified applicants and we're all trying to get that same pool. So how do we do it? One of the things that I stress with my command staff at the agency I came from is that we must treat the folks who are in our police department fairly. Just like members of the community want to be treated with dignity and respect and want to feel valued, the people who work within organizations -- in this case police departments -- want to be treated with dignity and respect. Making sure we listen to the folks within our department. Making sure they have input in decisions." "I plan to do exactly what I did six years ago when I started off as police chief in the community I'm in now. That's getting out and personally meeting with people. Going to neighborhood associations, community meetings. Interacting and meeting other stakeholders who have interests in the city: business owners, organizations that may not be Albany specific but they have an interest in the city and they can help the city. So talking with these people face to face." "The mayor was absolutely right about one of the qualities I have: that is listening. one of the things I pride myself on is listening to people, listening to their challenges and concerns and what their fears are. It's important for me as chief to take those things back to the police department and share those things with the officers and civilian employees of the police department." "I am not opposed to any groups or any people who want to assist the city in a collaborative way ... but it has to be in a collaborative way. Not just the Guardian Angels -- it's any group that wants to come into the city and wants to implement or propose some types of strategies for addressing serious issues that are going on in the community without having substantive collaboration with the key stakeholders in the community, that's a recipe for disaster and it potentially places people at risk who are participating." 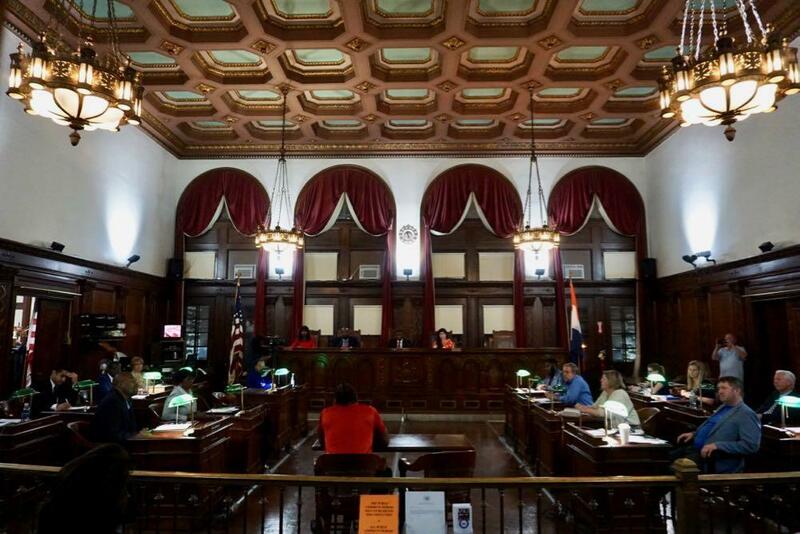 Tuesday's meeting highlighted something that's a recurring issue at a lot of public meetings: These events aren't exactly conducive to the public participating. How to provide better, more accessible ways for people to provide comments and input is probably a tougher challenge. In her comment, Hille suggested allowing members of the public to make statements at the start of meetings, which would provide people a better sense of when they'll actually be able to speak. And we're curious if there could be a formal way of submitting and posting public comments online -- almost a "letter to the editor" style of public comment. Did anyone define what they mean by “racism in law enforcement” with data, or is it all about anecdotes, feelings and “lived experiences”? @Herbert there's a few different perspectives as far as I'm aware. What I think is being talked about here is similar in my opinion to microaggression theory, part of which states that the offended is the only person capable of determining whether a microaggression has occurred, regardless of the intent of the 'perpetrator' or 'aggressor'. What the new chief says sounds an awful lot like that; it doesn't matter if an officer was treating a person of color fairly, what matters is the perception of the person of color. That worries me greatly, as it removes what I consider to be fair and reasonable competing interpretations, and it means that no jury is ever qualified to determine whether racial discrimination took place. So, the discussed story above indeed indicates that "lived experiences" and "individual's truths" do trump objective reality. Concerning for sure. As far as real data goes, there is a lot of data out there about law enforcement and the law in terms of people of color, as well as gender differences and age differences. I'm aware of several studies which control for individual behavior and look at race as a factor that show no police discrimination in terms of traffic stops, arrests, and lethal force use by race. I am also aware of studies that show that black men face much harsher punishments for crime once they get into the legal system than white men do. In contrast, white women face much more lenient punishments in the legal system than any other group when controlling for offense type and personal characteristics, like age and children. I think there are some issues worth looking at and worth discussion, but I think on the surface it will always have to be about "lived experiences" and "perceptions" rather than data, because no one is willing to take a firm stance on data when you have very loud voices demanding their views get expressed in public policy. Well Herbert, people living in reality acknowledge that systemic bias exists in law enforcement, the judicial system, legislation, and society as a whole. This is based on mountains of evidence and data that is easily accessible, as well as , yes lived experiences (as the Chief said, perception is reality). Those living in reality comfortably skip the definition step which is almost always an attempt to obfuscate and apologize for systemic racism and only gets in the way of real work being done by dedicated people to help solve this very difficult and complex problem.